Panel sent a final message to a Queens state Supreme Court justice saying they had "exhausted all our options" before mistrial was announced late Tuesday night. 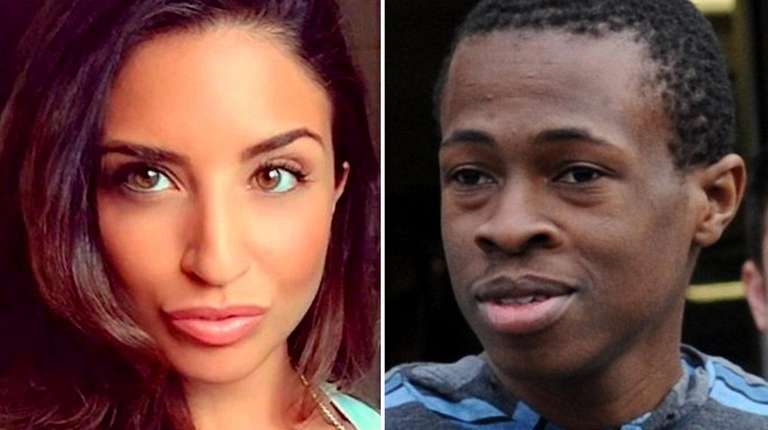 Before a mistrial was declared, jurors had split 7-5 in favor of convicting a Brooklyn man for killing Howard Beach jogger Karina Vetrano, sources familiar with the case said Wednesday as Queens prosecutors readied for a January retrial. The jury of seven women and five men alerted Queens State Supreme Court Justice Michael Aloise of their deadlock in a note sent at about 9 p.m. Tuesday. “We feel we have exhausted all our options,” the jury said in its final message after sending previous notes to Aloise requesting additional information in the trial of Chanel Lewis, 22, of Brooklyn. Lewis stood trial on two counts of second-degree murder, one count of first-degree murder and one count of sexual abuse stemming from the Aug. 2, 2016, discovery of Vetrano’s body in Spring Creek Park. Vetrano, 30, was found in park weeds, beaten, strangled and sexually assaulted. She had gone for a jog earlier that day and was found at about 11 p.m. off a jogging path in an area surrounded by weeds and trees. Lewis's defense attorneys, at Aloise’s suggestion, moved for a mistrial, something prosecutors didn’t oppose. Just over two weeks after the trial began with photos of Vetrano's body at the crime scene, the ethnically diverse jury appeared haggard. Jurors so far have said nothing about their divisions in a case where prosecutors believed they had solid evidence — including confessions and DNA from Vetrano’s body and cell phone — to support a guilty verdict. Just before Aloise announced the mistrial, Vetrano’s parents Philip and Catherine Vetrano, as well as her older sister Tana, briefly exited the courtroom with prosecutors who told them of the jury split. Asked if they supported deliberations continuing, the family decided against it, said a source familiar with the case. Aloise set Jan. 22 as a new court date. Meanwhile, Lewis will remain in jail. Vetrano family members were solemn as they left the courthouse late Tuesday night with other relatives and declined to comment. Retrials are not unheard of in murder cases. In the 1980s, Black Panther cop killers James Dixon York and Anthony Laborde saw two Queens mistrials in their murder cases before they were convicted in a third trial in 1986. Both men are deceased. “If the defendant had confessed inculpating himself in a homicide, there is DNA evidence, a very sympathetic victim, the fact that a jury couldn’t reach a verdict is shocking,” said former Nassau County prosecutor and Brooklyn defense attorney James DiPietro, who wasn’t involved in the case. But Jenny Cheung, one of Lewis’s Legal Aid Society attorneys, said after the mistrial that the issues were not clear cut. “The jury is understanding that DNA is not all it, confessions are not all it, there are issues in the case, as you all see, are much more complex,” Cheung said. Others remained optimistic a new jury can deliver a guilty verdict. “It is not a lost cause,” said one NYPD chief who didn’t want to be identified.